Mother's day or any day. 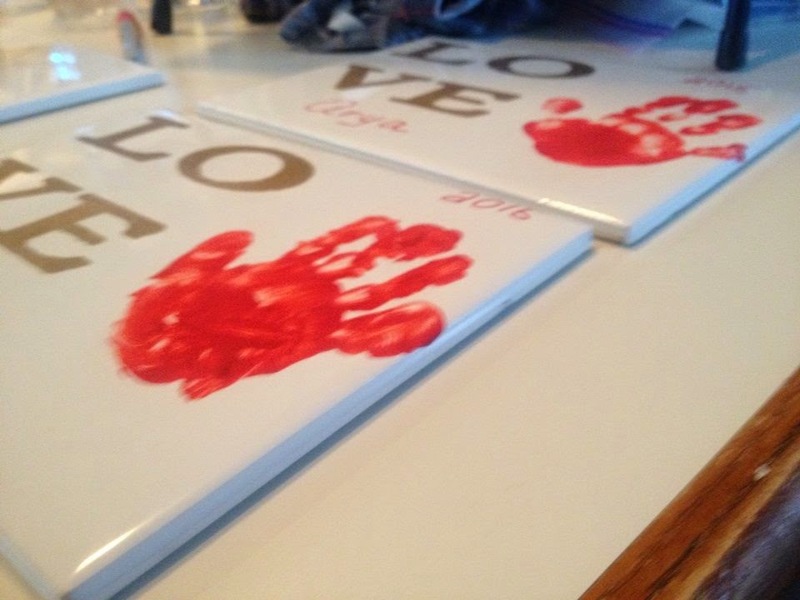 I made these for my day care moms using their little ones' hand print. that's the size you should get. I used my Cricut Explore to cut the stencil but you can easily get stencil letters at any craft store. 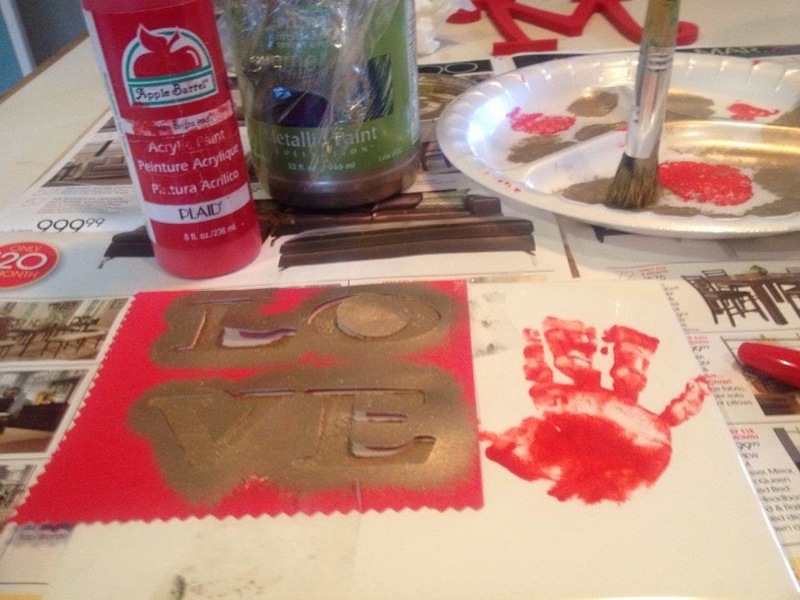 First I go my red acrylic paint and spread some on a disposable paper plate. 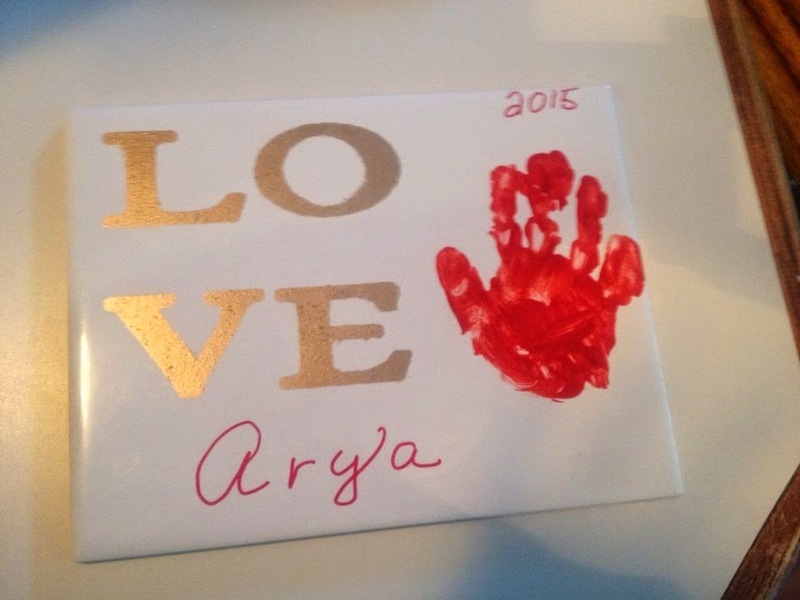 I grabbed the little one's hand and gently pressed it into the paint. Next I pressed it gently onto the tile careful not to smudge. I then immediately wiped off the little hand with a wipe. I did several of them and let them dry for about an hour while I cut my stencil. I then cut it onto a scrap piece of card stock I had laying around. The key is to use stuff that I had already. The only thing I bought were the tiles and they cost about $0.70 each. 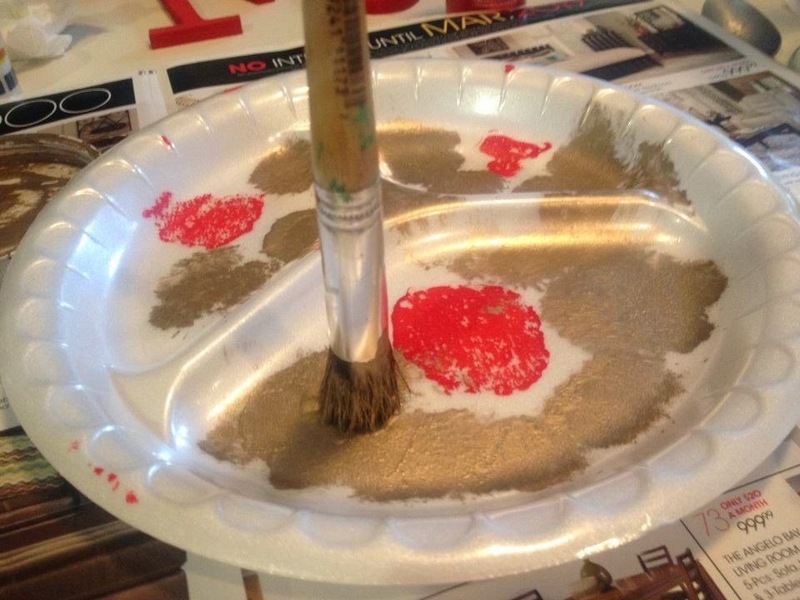 tap on a scrap piece of paper, your paper plate or paper towel to remove excess paint. You DO NOT want to load it with lots of paint! so that the letters would be darker. When dry I simply took the sharpie and carefully wrote in the child's name and the year. Carefully take some polycrylic and brush all over to seal. Or you can use matte Mod Podge to do the same. and only a couple of dollars and change. 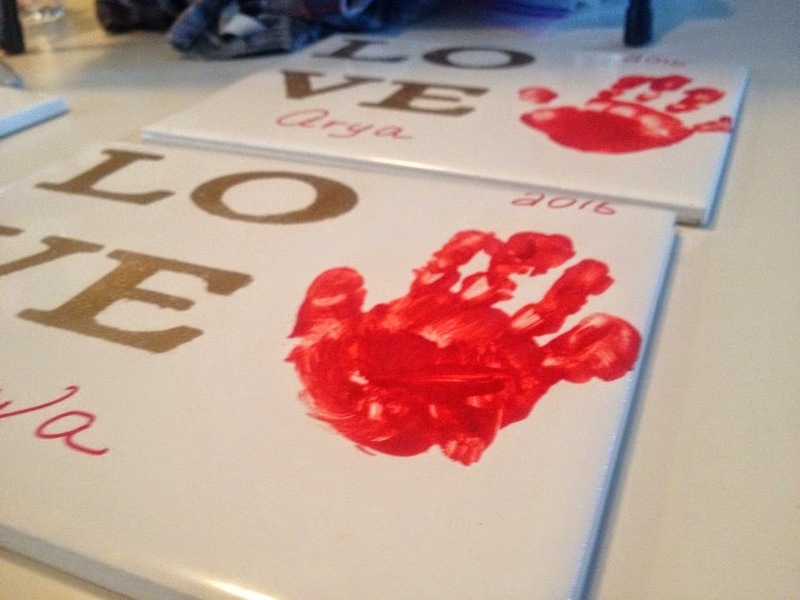 I hope you enjoy this easy and fun craft.